If you wish, you can enter your raw data into the blue unprotected grid, and then calculate the means or medians (and standard errors of the means if you wish to display them) there. Then enter those calculated values into the yellow cells (erase the existing illustrative numbers). The easiest way is to enter into each yellow cell “=O27” if, for example, the mean value is in cell O27. 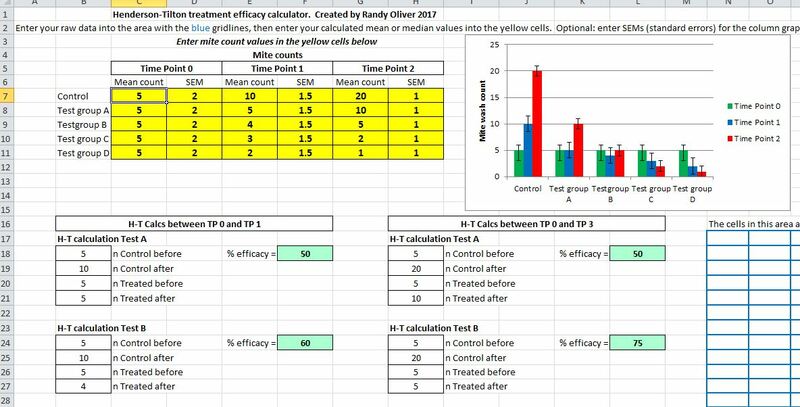 Or, if you’ve already calculated those values, simply enter them into the yellow cells.